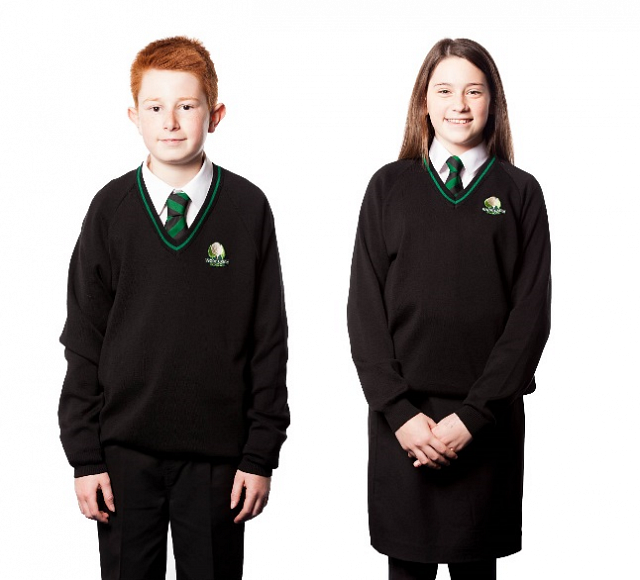 As a school we feel that uniform is important as it helps young people with their feeling of belonging to our Wood Green community. We believe that young people should be free from the pressures of having to wear designer labels at school and parents should be free from having to buy them. Uniform helps all our students be equal in our community. We want students to come to school in professional looking uniform so that they are in the mind-set that Wood Green is a place to work hard and succeed. We would therefore ask for your cooperation in making sure that the guidelines are followed when buying your child's uniform. The following guides, which all students are expected to adhere to, gives detailed information about all other aspects of our uniform. Our uniform is produced by Sportswear International (SWI) and is available to order online. You can order anytime online via the link below and arrange delivery to your home or workplace. You can place orders using debit/credit cards or continue to pay via cheque if ordered by post. Order forms will be available to download from the SWI website or to collect from school reception (term time only). We will provide support for families preferring to use cash (please contact the Finance Office on 01993 899525/899529).